If trading were ONLY about strategy and how well the strategy performs, then this would be a useful conversation. I can’t keep track of my students. Not only is it impractical, but not really possible logisitcally considering the large numbers. It is up to them to share their results - I cannot make them. It’s highly unlikely you’ll do what I do, so its not a proper frame of reference. On top of it, who is to say you’ll do what my profitable students do? I have no idea what you’ll work with and what you won’t so its not an accurate reflection for you. I think wanting to know what numbers ‘[I]you could possibly make based on what my students and myself do[/I]’ is putting the cart before the horse. Its chasing a [I]potential reality[/I] that is several steps ahead of the foundational steps you need to be taking - which begins by building the skills to trade consistently. Do you think these would be an appropriate question coming from a potential student to a school you lead? My guess is not. I certainly don’t want a student chasing my material because of the numbers. I want a student who will do the work, who is interested in my training approach, who will train hard and be focused on the process - not results. When process, technique and skills are focused on, results will come. I have no idea about you, your psychological strengths/weaknesses, your level of discipline, what pairs, time frames, strategies, learning curve, ability to control risk, what risk parameters you will use, and what the market will be like. So discussing numbers really isn’t something that will be accurate nor reflective of much. I’m guessing there are a few other reasons, but working with only 1hr of sleep and I’m probably missing a few. Hopefully though this gives an alternate perspective on the matter. FYI - when I started…I never thought about ‘what kind of numbers and profits could I make from this.’ Being that I came from yoga/neuroscience, I had no frame of reference. My focus was on learning the skills to trade consistently. And my attitude was ‘however long it takes is however long it takes’. Ironically I took the same approach to yoga & meditation. Please see our updated rules to the thread. This would mean removing your latest post as is. I appreciate you having a differing opinion which I fully support you to have. People are welcome to study the material in this thread all they want without ever becoming a member or paying me 1 cent. I fully support that and am not asking anyone here to join. This is simply a canvas for me to share my perspective on price action trading and mindset training, which I feel is a unique perspective. I trust their natural intelligence to make a decision they are comfortable with in terms of how to engage me as to learning/studying my material and asking me questions on how I approach price action and mindset training. With that being said, a) your post violates our updated thread rules, and b) nobody asked for your opinion. I find it interesting that someone who disagrees with me so much, feels such a need to share unsolicited opinions which nobody asked for. If you feel the need to spend such valuable moments of your life as posting (and repeating) your well established positions again and again and again and again and again and again, I really do wonder about your mind and inner ecology. I really wonder what kind of person feels the need to spend their waking moments and days, weeks, months and years on this earth jumping onto other people’s threads (whom they clearly disagree with) and feels so compelled to engage in such actions. Regardless of all the berating, negative statements and biased opinions you have about me, I do wish you success, happiness and peace in your life. This is I hope a free forum, so no one has to specifically ask for my opinion. As long as I’m a member and feel I have something pertinent to the matter to say, I’ll say it without asking for your express permission. In this instance, you chose to associate yourself by way of comparison with two categories of established professionals to mask your lack of credentials as a trader. I felt that this shouldn’t be glossed over just like that. Somehow my post got deleted (perhaps accident on my part) so I am reposting the message. I appreciate you having a differing point of view and support you to have your own opinion. However as per the thread rules, your post is to be removed and is not in alignment with the thread rules. This will be my last communication with you until you can abide by the thread rules. In this thread, I share my perspective on price action trading and mindset training, which I feel I have a unique perspective on. That is the sole purpose and goal of this thread. I do not ask for people to pay me to engage this thread, and they are free to study, learn, ask questions about these methods and apply them in any way they choose. They do not have to pay me 1 cent to be on this thread, nor do they have to throughout their entire trading career. They can do so as they please. I trust their natural intelligence to choose how they want to engage these methods and work with me on learning these. I don’t expect people to pat me on the back or comment at all on what kind of trader I am. Again they are welcome to ask their questions about how to use these methoprice action trading and mindset training. With that being said, I find it interesting you feel such a need to spend your time sharing your well stated opinion again and again and again and again and again and again and again, especially when it is unsolicited. I find it interesting you feel such a need to spend your minutes, days, weeks and months on this earth posting on other people’s threads sharing your fixed views when nobody asked. I really wonder about your mind and inner ecology to engage in such actions. One has to ask what is the mind, mental health and mindset of someone who decides to spend large portions of their life on earth engaging in these types of actions, instead of building their future and something positive for people. Regardless of you disrespecting this thread, regardless of all your berating, arguing and denigrating comments towards me, I wish you success, good health and happiness in this life. Was just re-reading this book and something stuck out for me, which made me think of you. From Georges St. Pierre (The Way of the Fight). Hope you enjoyed this and it gives you something to think about. Before turning it in for the evening, wanted to share my trading thoughts, suggestions and directions for tomorrow. I’m currently short GBPJPY & EURGBP which I’ll likely share later. Bearish bias on EURUSD, EURJPY, GBPJPY, EURGBP, USDJPY, AUDUSD & WTI Oil with 7 pending positions across those instruments. GBPUSD is neutral to slightly bullish ST while bearish MT. Indices are mixed with a small bearish bias ST.
That is all for now, but good luck trading and I’ll see you tomorrow. Thank you it definitely makes sense about concentrating on the journey rather than the reward as it would be difficult to stay consistent. The reason I asked for figures was not about my expectations from what I will get from your course but more of proving your teaching credentials and your price action skills. I’m new here so I don’t really know much about you so apologies if you’re a known profitable trader… however what I do know is I have loss a lot of money buying courses from people claiming to be a master at price action so I’d rather be more careful with my investments. Do you have a tradingview.com account maybe you could post a few ideas and we can see how they play out? Am glad you enjoyed the quote and it gave you a key part about focusing on the process/journey, not result. Had a tradingview acct a while back. But then realized I’d rather be posting my trade ideas for my members as they deserve the most of my attention. FYI - I don’t claim to be a ‘master’ at price action. I have a unique background, training and perspective, working as a broker on Wall St. from 2004-06, working/trading for a hedge fund in 2006-2007, then opening 2SF. (FYI - this is all in my bio/about page). I make no claims to being a ‘master’ of price action. I just share my perspective, which has been built through 45,000 hrs behind the charts and over 5,000 live trades. I think all those above give me a unique perspective on price action, trading and mindset. Oh and below are my current 2 open trades over +350 pips on a live acct with 10 pending orders in the wings. Some interesting price action in the market today, with some notable bounces and potential reversals. Currently have 9 pending positions open. Enjoy and good luck trading tomorrow. SNB overnight shocker as they remove the floor on EURCHF. 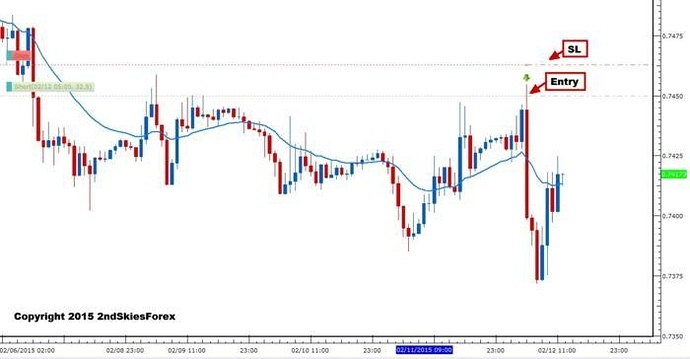 USDCHF drops 1200+ pips in hours with 500 pips for the EURCHF. Likely huge liquidity gaps in those pairs, so price action around key levels should be interesting. USDCHF pressuring key support at 87, below here is 8560 and below that is trouble with a lot more fresh downside. USD trying to rebound but under pressure. Gold rallying which is to be expected. Speculation would be ECB launches QE program, which would likely benefit euro indices. EURUSD has resistance now ST around 1.1739. A clean break of 1.1650 means likely 1.10 touch in 2015. CHF pairs will be the ones to attract most attention today. I had a long on USDCHF which obviously got hammered for a -95 pip loss. Part of the game. Good thing is…remember that EURGBP short I talked about prior? Here she is below for +150 pip winner on 20 pip stop for +7.5R. Good luck trading today - there should be plenty of volatility. $Dax looks like positions are building in the price action with anticipation of QE from ECB & thus break of last years highs. In flight back to Canada. Will be resuming market commentary tomorrow evening. Good luck trading this week as I’m guessing Draghi is working his pen and writing his speech about how he’ll do QE, so the price action and volatility should be interesting this week. Hi Chris I have invested in your Price Action course last weekend and so far its really good! Thank you Out of curiosity do I need to do the advanced ichimoku course afterwards? I have no knowledge on the ichimoku what benefits will it have when added to your price action course? Would you say price action is enough? When would you recommend learning ichimoku and does it start from the basics? Welcome aboard, and am glad you are enjoying it. I’d suggest first nailing down the hatch on the PA material before moving on or considering another course. Far better to learn one skill really well first as opposed to learning 2 skills so-so. 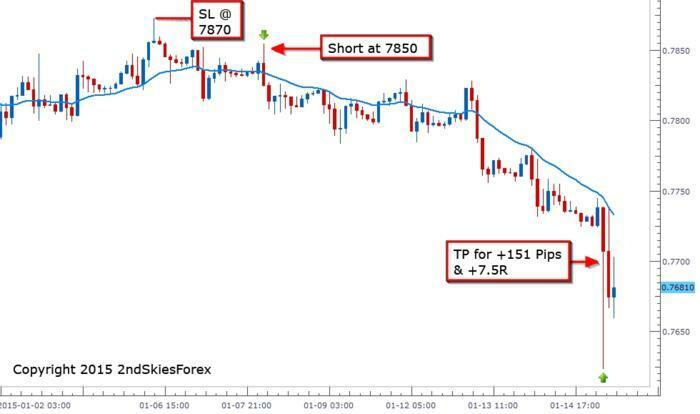 there is a lot of material in the PA course that takes time to fully digest and integrate into one’s trading brain, so really drill into this, then later down the line we can re-visit the idea of another course (if valuable or not). I’ve been told by someone that your price action course focuses on intraday time frame why did you decide that route rather than higher timeframes like Daily, Weekly and monthly? Is it false that these have less “noise” so are more accurate? and when is your meditating and mindset course coming out? How come you don’t cover Fibonacci? We cover all time frames, from the weekly down to the 5m. If you learn to read and trade price action, then when you truly have that skill, it can be applied on any time frame. So we don’t focus on any specific time frame. We have strategies across all of them. ‘Noise’ as its commonly stated isn’t really accurate in describing the lower TFs vs. the higher TFs. I could visit a new country where they speak a new language, and it may sound like ‘noise’ to me. But give me 6 mos learning that language, and what was once ‘noise’ is now something I can speak, write and read. What is the difference? Training. And besides a typical 1-2 bar pattern (which is not what trading price action is about), the higher TFs aren’t any more ‘accurate’ than a lower TF. The Mindset Course will be released soon so stay tuned to the site for details. I really don’t focus on fibonacci because I find price action (the way we trade/teach it) to be far more accurate for finding key levels, entries, SL, TP’s, along with reading PA will give you far more skills than learning Fibs (IMO). Hopefully this answers your questions and gives you some good information to work with. After a long work sojourn, and at the tail end of the project, I am back to give some regular updates. Volatility has been on the rise this year, and I’m expecting the markets to remain volatile for at least H1 2015. Currently holding 5 open positions, 2 closed already, and 6 pending. Looking to sell the EURUSD & AUDUSD on pullbacks, while looking to long the USDCAD & GBPUSD on pullbacks. Currently short a few pairs, one of them being the EURGBP with a tight 13 pip stop. Currently up almost +3R (was up +5.7R) but markets have reversed heavily off the lows. May scratch for BE if it bounces back to the entry. Will watch the price action context in real time to see. But good to be back and good luck trading today. This is an AMAZING thread. Thank you so much! Thanks for the positive comments and glad you like it. More to come.